As seen below, All Elite Wrestling Executive Vice President Cody Rhodes revealed the premiere episode of "The Road to Double Or Nothing" on his YouTube channel tonight. The video reveals that AEW has signed up & coming indie star "Jungle Boy" Nate Coy (Jack Perry). The 21 year old is the son of actor Luke Perry of 90210 fame. He made his debut on the California indie scene back in 2015. It was rumored that AEW had offered a two-year deal but Jungle Boy brought his father and their lawyers to the negotiations, deciding on a shorter deal. The length of the deal has not been confirmed. 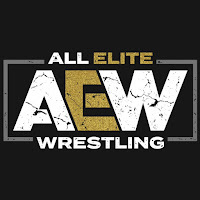 Regarding the big AEW Double Or Nothing event on May 25 from the MGM Grand Garden Arena in Las Vegas, Cody said he's not sure who he will wrestle yet. There will be a Double Or Nothing Ticket Announcement Party on Thursday, February 7 at 6pm local time from the MGM Grand Hotel. The party will be streamed live online. Cody also talks about Chris Jericho signing with AEW and how AEW is looking to build the roster up with fresh talents.